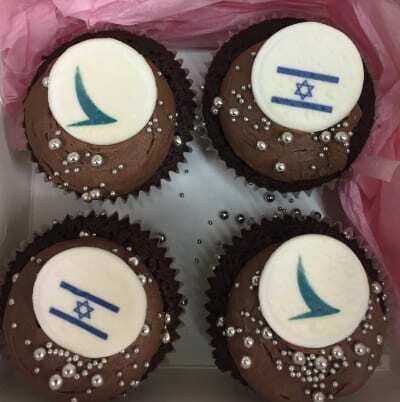 A delivery of cakes decorated with the Israeli flag and a Cathay Pacific logo made a welcome addition to coffee time at a Sydney travel agent’s office. Staff at Bondi’s Goldman Travel enjoyed their special treat delivered by Cathay Pacific on the launch of their new route between Honk Kong and Tel Aviv. The current route from Hong Kong to Israel is operated only by El Al.